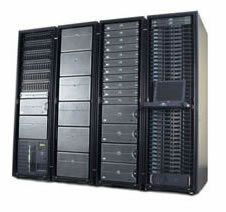 The Machine Networks Max plan is a suitable solution for web sites requiring large amounts of bandwidth and resources. It is an ideal upgrade plan from our Pro web hosting package and offers the space, transfer and features of a dedicated server but at a fraction of the price. All of our web hosting plans include free set-up and a 14 day money back guarantee. If you have any questions about our Max plan, or would like help choosing the best hosting package for you, please do not hesitate to contact us.